Despite its rapid success, Crocs is committed to making lightweight, comfortable, slip-resistant, fashionable and functional shoes that can be produced quickly and at an affordable price to consumers. 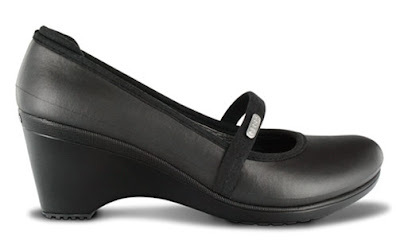 I recently received the Casey Wedges (Available in Espresso or Black; $41.99) and believe it or not, this is my first foray into the Crocs brand. I’ll admit that I wasn’t into the earlier styles, but they have come a long way with more cuter and wearable styles for fashionistas in mind. These wedges are not cute, but they’re probably the most comfortable wedges I have worn for a long time! Pictures hardly do them any justice, because the quality is superb. They look great when paired with a pair of skinny jeans or a dress. I also love the Tricita ($99), Lauraloo ($99.99), Cyprus II ($49.99), and the Carlie Platform Flip ($39.99).